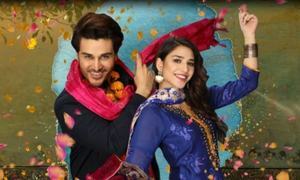 Family oriented dramas are something that we have always found to be worth following and the latest in this list happens to be Faysal Qureshi's Baba Jani where we see him weekly go out of the way for his step daughter Nimra played by Madiha Imam just to ensure that no one looks at her in a bad way and he can provide a safe environment for her. So with that thought making him take a major step in life, Asfand is a character whom we cant help but admire with each passing episode. Written by Faiza Ifthikhar, Baba Jani's is a story penned from the heart and that is what makes it so unique. So what happened in the latest episode of Baba Jani? Well read along to find out in case you missed it. 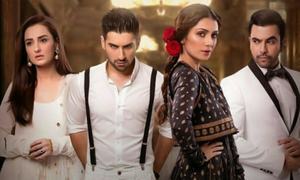 Asfand breaks off Nimra's engagement with his Apa's (Saba Hamid) son because he is furious when he finds out what all she had planned in her head but not giving the real reason all he does is express his anger which leaves the eldest sister baffled. With us glad to see Asfand come to his senses, it also makes us realise how difficult things are for a girl like Nimra who after her mother's death is all alone but is fortunate to find a man like Asfand who honestly treats her like his own. 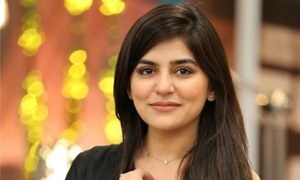 So with Asfand looking for quick solutions he decides to marry Mehwish (Faryal Mehmood) so Nimra can have a secure home and with Mehwish also being a mother we loved how on the day they got married he comes back to Khala's house to pick her son as he is small and would cry without Mehwish. But will Mehwish treat Nimra like a mother is what we cant wait to see next week when Baba Jani will air on Geo TV at 8 pm as the entire cast continues to do a good job and play their characters with conviction. However, the star of the show remains Faysal Qureshi who plays Asfand with a lot of grace which makes this character unforgettable.